China-based smartphone maker Xiaomi has announced a partnership with Uber that will see the e-taxi company serve as on-demand delivery drivers. The tie-up is timed to coincide with the launch of Xiaomi’s latest flagship device — the Mi Note, a 5.7-inch “phablet.” The device is only available to buy in Singapore and Malaysia for now, and in these markets (Kuala Lumper-only in Malaysia) Uber-users will be able to order the Mi Note in a “flash sale” directly through the Uber app on July 27. This move essentially gives Uber exclusivity to the Mi Note for 24 hours before it goes on sale through Xiaomi’s own Mi.com website. To purchase a phone, users in the aforementioned markets open the Uber app, select “Xiaomi” using the little on-screen slider, and place the order. The entire payment is processed in the Uber app, with the fee charged to whatever card is linked to the Uber account. 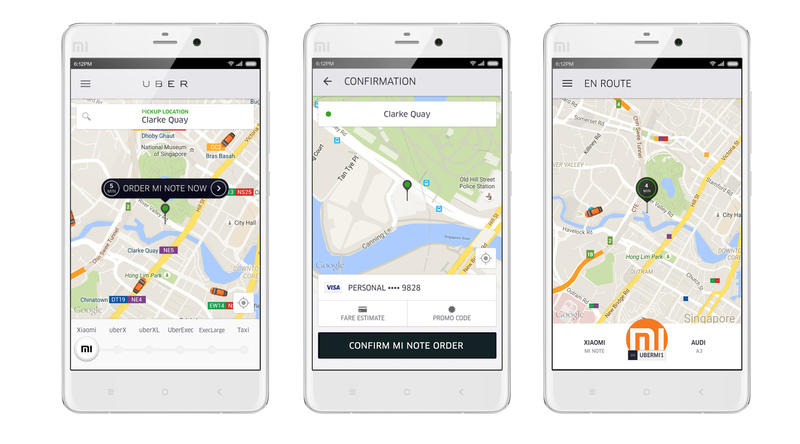 The Mi Note will then be delivered in however long it takes for the driver to arrive — we’re talking minutes, here.